Seafood used to be a daily feature in my parents home. We lived close to a port and had easy access to the freshest catch of the day. Fish curry, rice, fish fry with a salad was our staple meal. I would get so bored of it that I would look forward to our Sunday Chicken feast. And now Seafood is a premium with rising cost and low availability. Added to that is the debate about fish being farm raised or wild caught. And with the toxic waste polluting our water bodies, you really don't know what you're eating. Food used to be so much simpler growing up. I still try to include Fish at least once a week. Living in North America, I miss many varieties which I would have back home. I do compensate by trying new local varieties of fish. One such fish that I have tried in many ways is the Red Snapper. I love this fish because it absorbs Indian flavors really well. 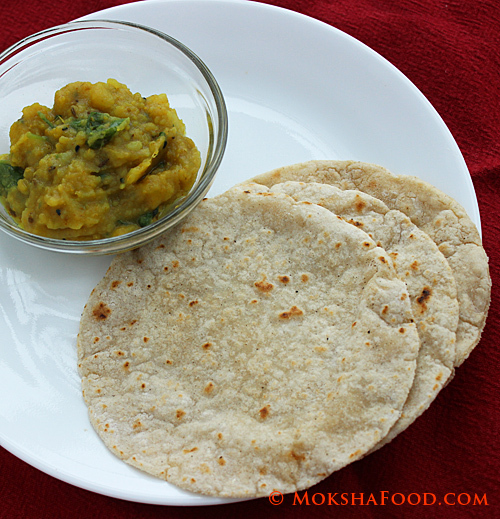 I usually make it in a Bengali recipe called Macher Kalia. But this time I tried it in Sri Lankan style. 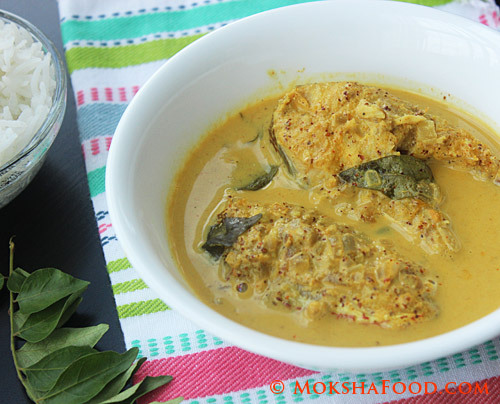 The aroma of curry leaves, the sharp flavors of mustard paste blending in with the creamy coconut milk is a real treat. I used the roasted Curry powder that I made for Pumpkin Curry. You could use regular garam masala but you wont get the authentic Sri Lankan Taste. Wash the snapper fish well and marinate with 1/4 teaspoon of turmeric powder and some salt and keep aside for 15-20 minutes. In a large saucepan, heat a tablespoon of oil. 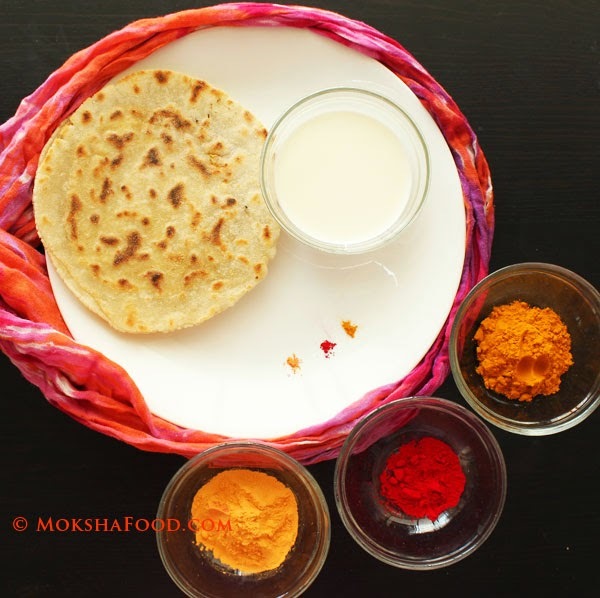 Temper with fenugreek seeds and cinnamon stick and saute till the fenugreek changes color. Add in the chopped onions, garlic and curry leaves. Saute for a few minutes. Now add all the spiced powders - turmeric, red chili and curry powder. 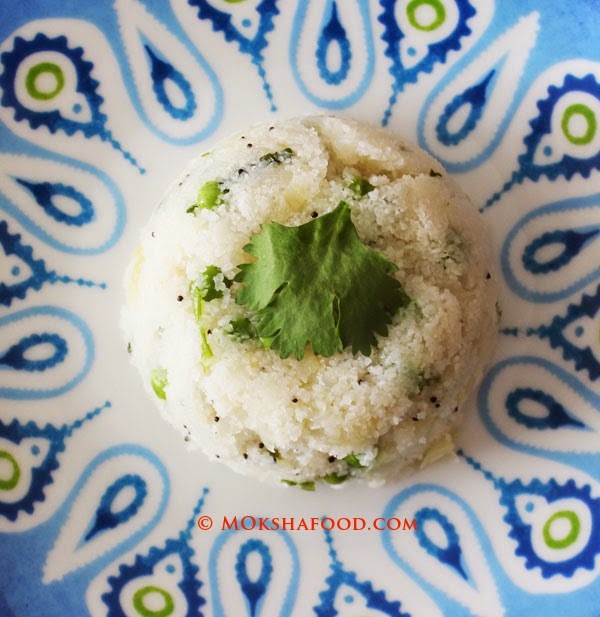 Blend together the mustard seeds and coconut flakes with little water to make a paste. Wash the marinated fish pieces. Add the paste and the fish to the pan now and mix well to coat the fish with all the spices. Add in salt and enough water to make a gravy and cook for 6-8 minutes till the fish is just done. Pour the coconut milk and cook for a few minutes more. 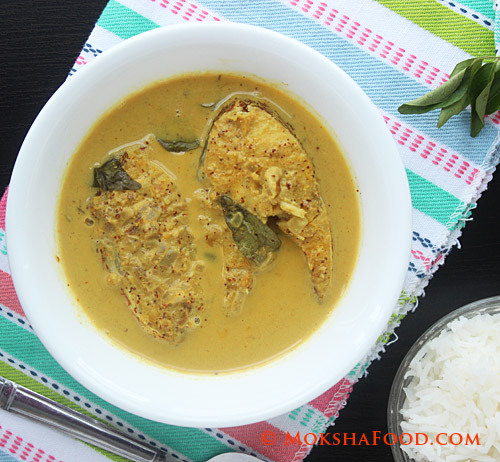 Serve hot with rice for a simple and yummy red snapper curry meal.